Carbon monoxide poisoning is the result of exposure to excessive amounts of carbon monoxide. Carbon monoxide poisoning is a disease that is perpetuated by the invasive, yet odourless, colourless and tasteless gas. Extreme exposure to carbon monoxide will cause illness and in some cases fatality. Because of its odourless and colourless nature, the presence of carbon monoxide can be difficult to ascertain. However, the dangerous gas is present but controlled in most residences and businesses in the UK. People who inhale carbon monoxide will have difficulty inhaling oxygen. A lack of oxygen leads to serious tissue damage. The greatest single preventive tool used to determine the presence of this subtle but dangerous gas is the CO alarm, a staple for most businesses, public buildings and homes in the UK. In the event carbon monoxide is present a premises, individuals should vacate immediately. If possible, open a door or window on the way out. Take you cellphone and call for assistance. You may need medical care, even if you do not realise it. Unborn Children – Pregnant women should avoid carbon monoxide at all costs. Foetal cells tend to absorb carbon monoxide more aggressively than the adult body. A slight amount of exposure to the mother can cause carbon monoxide poisoning for the unborn child. Children – Because young children tend to take rapid, short breaths compared to an adult, a small amount of the dangerous gas can be inhaled much quicker than with an adult. Senior Citizens –Seniors are prone to struggle with breathing and can inhale the gas to the exclusion of oxygen. The inhalation of carbon monoxide by seniors can lead to brain damage. The following symptoms of carbon monoxide poisoning are identified by WebMd. Persons experiencing this symptoms should seek vacate the environment and seek immediate medical care. Unfortunately, people who are sleeping or who are intoxicated are at high risk when carbon monoxide is present in their surrounds. These fumes inhaled over time can be fatal. This explains why CO alarms are installed in most UK residences. You may be asleep but the CO alarm will wake you if the dangerous gas is in the air. Carbon monoxide is present in any devices that generate combustion fumes. Petroleum burners and gas burners are prone to emit limited amounts of carbon monoxide. Appliances like gas stoves and refrigerators have the capability of leaking carbon monoxide. 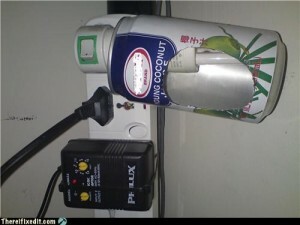 The fumes are especially dangerous when confined to an enclosed area. Good ventilation can help to reduce the risk of carbon monoxide poisoning. Being aware of the dangers of carbon monoxide and the conditions that make the gas highly dangerous is an important step in prevention. Learn what appliances emit CO gas and have them checked regularly. Make sure these appliances are functioning properly. 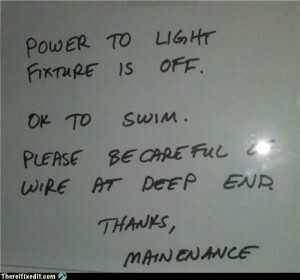 If you suspect something is awry, contact a repairman immediately. Being able to recognise the signs and symptoms of this odourless, tasteless gas is another way to be aware of the danger. The heating systems, all boilers and cookers should also be serviced regularly and tested for efficiency. Only use reputable and registered technicians to check these sources of carbon monoxide emissions. If technicians are working on gas installations and appliances are sure they are Gas Safe Registered. Technicians for solid fuel appliances should belong to the UK’s Equipment Testing and Approval Scheme. Never attempt to install gas appliances yourself. Check room and household ventilation systems. If inadequate, install more aggressive ventilation. If the home features double glazed or draught proofed windows, make sure there is adequate ventilation and circulation to support the heating system. Do not block air vents with furniture. Never start or run the car in a closed garage. Open the garage door before starting. At least once a year, check your flues. They should be swept clean annually by a qualified chimney sweep who belongs to the National Association of Chimney Sweeps (NACS) or to the Guild of Master Sweeps (GMS) or the Association of Professional and Independent Chimney Sweeps (APICS). Never use gas-powered equipment or gas powered tools in the house or in a closed garage. 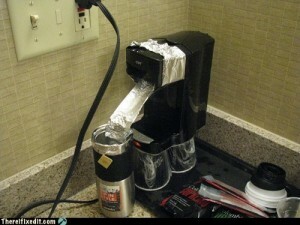 Wherever you use this equipment, make sure there is sufficient ventilation. Do not burn charcoal in an indoor barbecue pit. Never sleep in a room that has a non-chimney gas burner or fireplace. 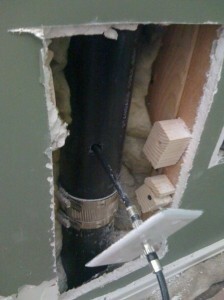 If your kitchen does not have a gas extractor, install one. Be sure to install a CO alarm and check the batteries regularly. These alarms emit a high-pitched noise when carbon monoxide is present in the air. With carbon monoxide, it is best to err on the side of caution. Below is a compilation of some of the reasons you should never try to fix something on your own, or hire someone who isn’t 100% qualified! 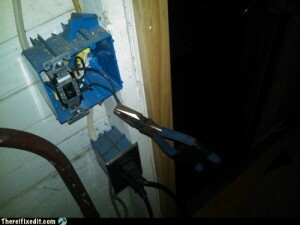 This is our list of the top 20 electrician failures that we’ve found on the internet. 1. Don’t tie yourself in knots..
4. No, I’m certain that’s not safe! 5. 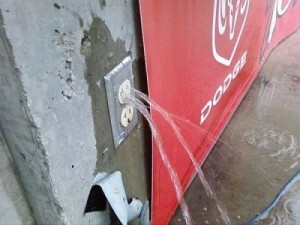 Do we call an electrician or a plumber here? 8. 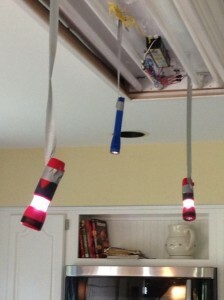 What’s Christmas without possible electrocution? 12. What a tangled mess! 17. 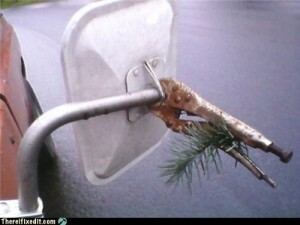 A new way to recycle perhaps? 18. No chance am I getting in there. Thanks, swimmers. 20. The walls destroyed, but hey at least we have cable! Powerflushing is a cleansing process designed to rid the central heating system of sludge, rust and corrosive inefficiencies that accumulate over time in most heating systems. In addition to increasing the efficiency of the heating system, the powerflush also serves to protect the main heating plant. Powerflushing should only be administered by a knowledgeable and experienced central heating expert. Powerflushing is a proven solution for uneven heat distribution and for remedying the inefficiencies of the central heating system. Many homeowners are unaware that the heat circulation in their home is clogged. Powerflushing is the best way to ensure that the system is circulating properly and not adding pressure to the heating unit. Powerflushing is also recommended when new systems are being installed. A new boiler replacing an older boiler is only as effective and efficient as the circulation of the existing piping. Powerflushing is a safe, relatively inexpensive process that will add warmth to the home and reduce energy expenditures at the same time. There are several symptoms that indicate it is time to powerflush your central heating system. 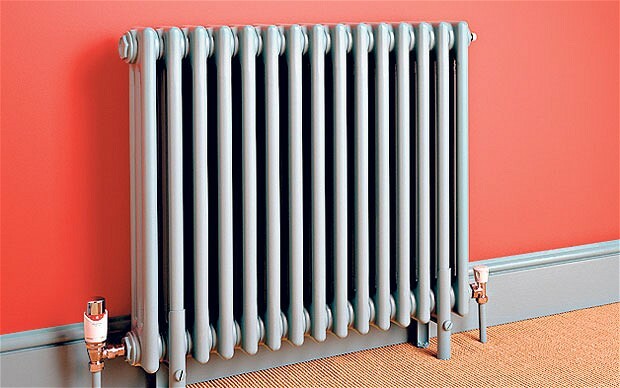 Cold radiators – Are some radiators warm while others are cold? The reason for this is rust and sludge that has accumulated in pipes and is preventing heat from circulating to all radiators in the home. Excessive Noise – Can you hear you boiler overworking? Do you hear air trying to fight through the sludge and rust in pipes? If your central heating system is making unusual noises, the chances are a powerflush is in order. Discoloured Water – When you bleed your radiators and pipes are you finding the water is discoloured? That is a clear warning sign that the system is in jeopardy and in need of powerflushing. In extreme cases, you might notice that tap water is cloudy. You can improve the circulation in your heating system by cleaning the pipes. You will most likely enjoy other benefits such as a quieter, more efficient operating system. Over the long-term, you will also notice that your energy expenses are decreasing. Powerflushing is safe if administered by an experienced heating engineer likle Home Cure. The heating engineer will connect a high flow, low pressure pumping unit to the system. 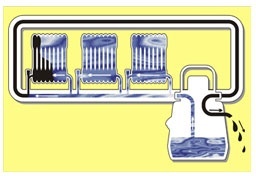 The most likely connection point is the circulation pump or the pump head, depending upon the system. The engineer will add high strength cleaning chemical to the system. These include ingredients to break down sludge crust that inevitably builds on the pipes. A chemical to remove the sludge is also used along with a descaler to break down the limescale. After the initial flush, crust and rust inhibitors are added to the system. The crust breakers and removers are acid-based cleansers. These will also rid the system of any sand that may have accumulated in the system. 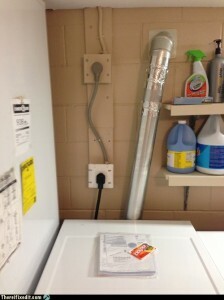 When the powerflush is complete, the acid will be washed thoroughly from the system. 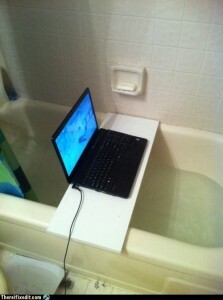 Professional powerflushing takes can take a few hours. 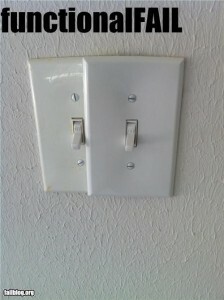 Most homeowners notice the difference immediately. Please feel free to get an estimate beforehand to find out about time frames and costs. In the UK today, many residents are concerned about the cost and amount of energy used to heat their homes and businesses. Powerflushing is a great way to reduce energy expenditure, your carbon footprint and most importantly to improve the heat circulation in your home. By removing the sludge and corrosive elements from your central heating system, you are also prolonging the life of your heating plant. Replacing a boiler is one expense nobody wants to incur. For more information on our London based powerflushing and emergency plumbing services, please contact us today. The Gas Safety (Installation and Use) Regulations 1994 (as amended) are the most important and most strictly regulated of all the landlord’s obligations. The landlord is responsible for all appliances which includes boilers, fires and cooking appliances. All of these must be tested to ensure that they do not emit toxic gases and that flues are in good condition. All tests must be carried out prior to tenancy and annually thereafter. If your lease is for longer than seven years or is for life then you are not responsible for gas safety checks and maintenance. However, if there is an implied tenancy agreement such as accommodation is provided due to your job then it is expected that you carry out duties for gas safety. As a general rule, the landlord and agency are responsible for gas safety and maintenance checks under any circumstances, such as subletting or shared ownership. However it is important to read the Gas Safety (Installation and Use) Regulations 1994 (as amended) to ensure you are certain of your legal obligations. 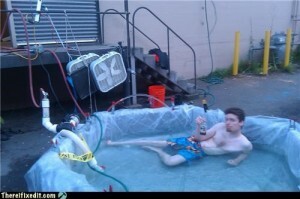 As a landlord you are responsible for the safety of your tenants. This involves checking all gas appliances and having them tested prior to tenancy and then annually thereafter. The gas appliances, fittings and flues should all be tested by a Gas Safe registered engineer and good practice dictates the demonstration of regular, annual maintenance checks and subsequent checks. Other responsibilities involve ensuring an annual gas safety check is carried out within 12 months of the installation of a new appliance/flue (and annually thereafter) by a Gas Sage registered engineer. A record of these safety checks must be kept for up to two years and your tenants should be issued a copy within twenty eight days of the check being completed. Furthermore, any new tenants should be issued copies of past checks and safety regulations before they move in. What Gas Appliances Are My Responsibility? All gas appliance that have been bought and provided to the tenants by you are your responsibility. If the tenant has brought their own appliances you are responsible for any fittings and installation necessary, but not for the appliance itself. In regards to appliances owned by tenants there are certain measures that you can practice to ensure complete safety. Firstly you can send reminders to the tenants each year when their appliances are due a service by a Gas Safe engineer. Secondly, when you begin the tenancy you can advise your tenant on any flues or chimneys that are unsuitable for the installation of a gas appliance to discourage any accidents. Finally it is recommended to include all the flues that are connected to gas appliances within the landlord’s gas safety check that you will be providing your tenants with. Do I Need To Use A Gas Safe Registered Engineer? Only an engineer that is registered as Gas Safe should be used to complete gas work for maintenance and safety check on gas equipment that you own or provide for tenants use. It is advised that you check the registered engineer is competent to work in that specific area of gas. It is important to note that the Gas Safe Register has no control over the amount an engineer charges to carry out any safety checks. To ensure you are being offered the best price, obtain three different quotes from separate engineers before hiring somebody. You can check that an engineer is qualified to undertake a gas safety check in your area by asking to see their ID card, which all registered engineers are required to carry with them. If you have any suspicions that there could be a breach in gas safety you must immediately call the National Grid’s Gas Emergency Freephone number (0800 111 999), open all the doors and windows to the house and shut off the gas supply at the meter control valve. It is illegal to continue using a gas appliance if you believe there is a chance it could be unfit for use. If you are experiencing problems with your boiler or just need some advice about gas safety, give Home Cure a call Freephone on 0800 002 9991. Check out our gas services here. 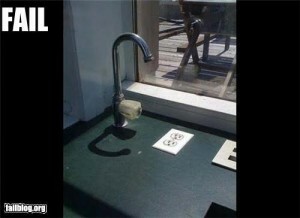 Electrical current in homes has enough power kill. Care should be taken with electrical appliances and repairs should only be carried out by professional electricians. Take time to check your current fuse board and wiring is safe. Older fuse boards dated before 1960’s have little protection from electric shock, unlike the protection new 17th edition fuse boards will have. Electricity is the motion of electrons moving through a conductor – this is electrical current. Material like metal is a conductor as it allows electrical current to travel through it. Electrical current must form a loop between the device and the power supply in order to work. 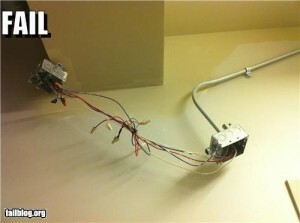 If the path between electrical current is broken then electrical current can not exist. 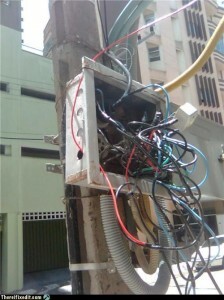 People are often injured when an electrical current or circuit is broken as electricity will always try to find the easiest path back to the source and, because people are more conductive than earth, the current will try to flow through us to complete the loop if there is no other easy route. 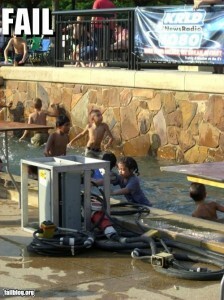 This can cause either mild electric shock – possible muscle contractions and startling depending on the voltage of the source, thermal burns – from the heat generated, or even fatal electrocution – when the current travelling through the body affects signals between the brain and muscles, including the heart. 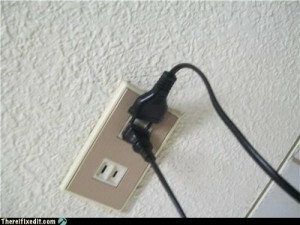 Never remove a plug from a power socket by pulling the cord; pull from the plug instead. Switch off electrical items at the plug if not in regular use or when leaving the house, electrical items left plugged in are a fire risk as well as wasting energy if left on standby. 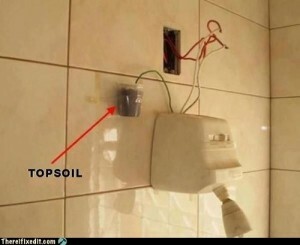 Do not use electrical items in the bathroom unless designed for use in there, e.g. Shavers and electric toothbrushes but still take care near water and avoid touching plugs with wet hands. Do not use items with exposed wires or damaged cords. Check items regularly. 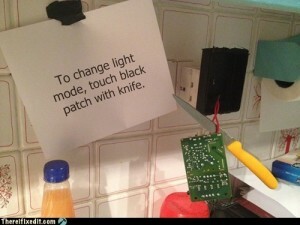 Similarly don’t use damaged sockets. Always turn your electrics off at the mains when carrying out electrical repairs but only attempt if you know what you are doing. Look for the BEAB seal of approval on electrical items when purchasing. 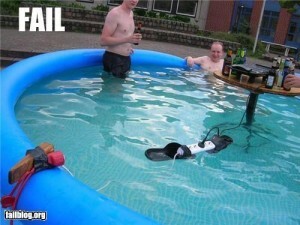 Do not use electrical equipment outside if it’s raining. Use light bulbs with the correct wattage for all light fittings. Check circuit breakers and fuses are the correct current rating for their circuit. If your fuse board has a wooden back board, ceramic or cast iron switches, or a mixture of fuses then it is likely it dates to before the 1960s and will need replacing. A qualified electrician will be able to advise you on updating your fuses. Fuel Poverty – Heating or Eating? Government figures show that over nine million homes could be in fuel poverty by 2016 if energy bills continue to rise. Households in fuel poverty are those that spend more than 10% of their salary on heating the home, and with energy prices rocketing more properties will be pushed into choosing between heating or eating. An estimated six million households are already in fuel poverty and plan to cut back on heating in the home because they fear of the costs. Household income is just one of the measures of fuel poverty; energy efficiency is also a deciding factor as many homes who are not in the poorest fifth of homes were still noted to be struggling to heat their homes. Energy inefficiency is blamed on poor wall insulation or windows causing drafts, old inefficient boilers, even heat being lost behind radiators. Improving energy efficiency is half way to tackling the problem. The more energy efficient your property the less energy you will need to heat your home. Draft proofing your home for example could cost you around £200 but in the long term will enable you to make savings of around £60 per year as your home can then cope at lower temperatures. Just reducing your thermostat by 1 degree can lower your heating bill by 10%. Fitting a programmable room thermostat or thermostatic radiator valves are other low cost solutions that will help you to save on heating. A professional plumber will be able to fit these for you and you will notice savings immediately. Radiator reflectors, that send heat back into the room rather than out of walls, are inexpensive measures, while insulating pipes and water tanks are also simple, and easily carried out by a professional. A hot water cylinder jacket and pipe insulation will pay for themselves in next to no time and even reduce your carbon footprint.